November has swung between frenzied activity and lazy days for the Club de Artesansas (CdA). CdA members who have kids in grade school spent Club time embroidering flowers on squares of cloth for their children to turn in for the annual exposition and a grade. The graduating teens spent hours at the sewing machines whipping together blouses and dresses for their classroom exposition. 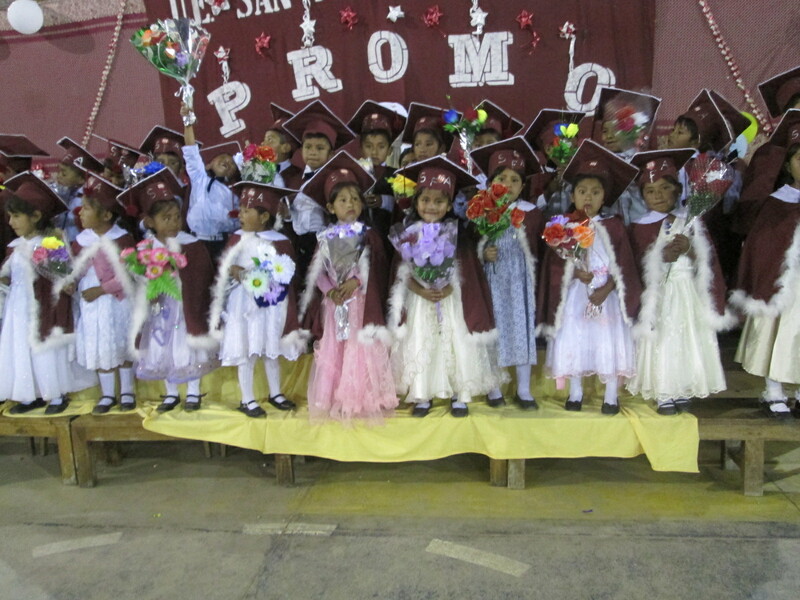 The 2 CdA moms with graduating kindergarteners helped their kids change clothes 3 times during the 2 hour ceremony which involved traditional dances and pomp and circumstance. Formal classroom instruction ended and the week and a half long expositions began on November 16th. The grade school physical education/music exposition was open to the public and the mix of gymnastics and traditional dances was a treat. 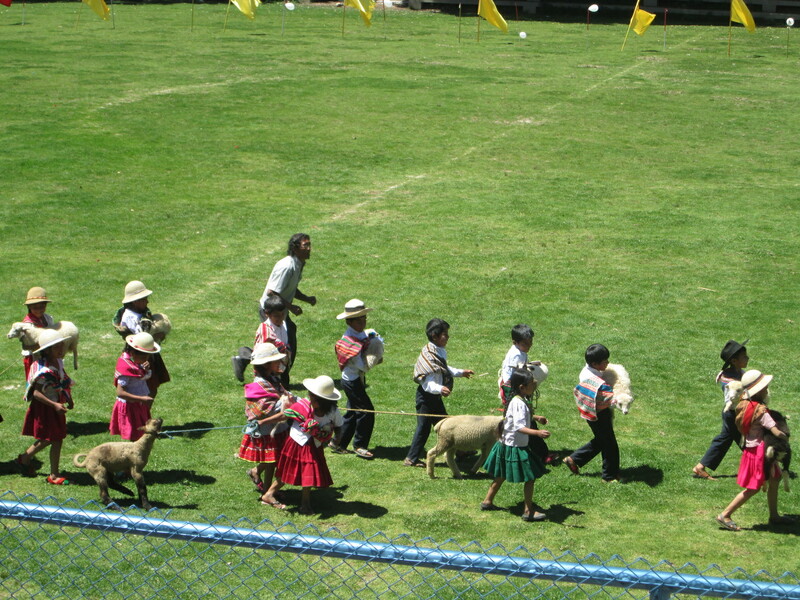 The highlight was the “Ovejera” (Sheepherder) dance which involved the 3rd graders trying to make an entrance with sheep in their arms or on a lead. The sheep on a lead wanted no part of it, much to the amusement of the audience. The music teacher finally gave the command to let go of the sheep so that the dance could commence. The sheep didn´t run far being enticed to graze on the sweet clover covering the soccer field. The 2nd graders mime to a song about elderly couples was poignant. Reyna, who is the CdA Saturday trainer working with the teenagers, and a peer who is a former CdA member asked if they could learn how to make soap for their senior exposition project. There wasn´t time to make the basic soap recipe which is fat, lye, and water, but they did make 2 batches of milled soap from the basic soap the CdA women had made a couple months ago. 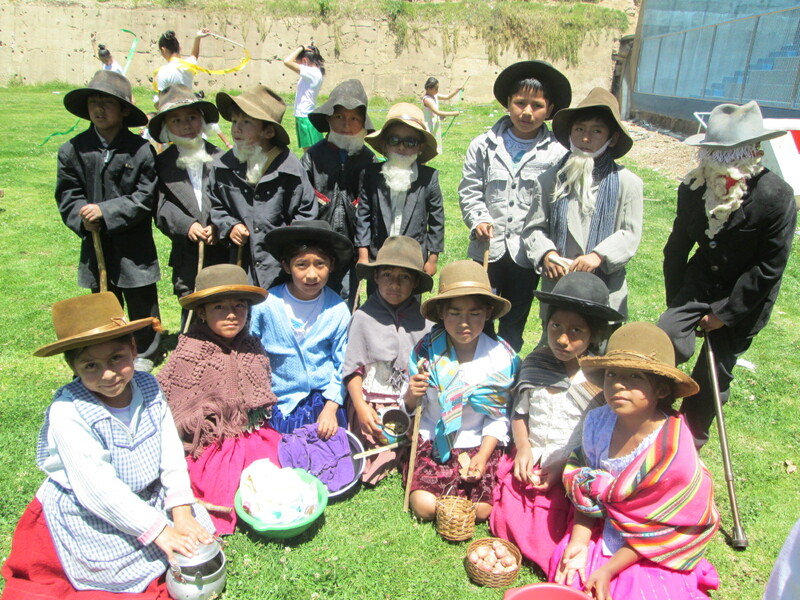 They returned the soap making equipment after the expo wearing huge smiles because they´d received a “Super-Bien” from their teacher. We may see their teacher next year for a soap making workshop. Doña Máxima has completed the 2 weavings for her 2nd aguayo for February’s Carnaval festivities. She spent a quiet CdA day hand sewing the 2 halves together with a decorative stitch. Her current project is a weaving ordered by PAZA which she will use as the final weaving project for CdA members during the Club´s vacation session. The CdA members that advance to the 3rd project will use a length of Doña Máxima´s weaving to make a ch´uspita (shoulder bag). They will weave the strap and learn how to weave a border to assemble the bag. 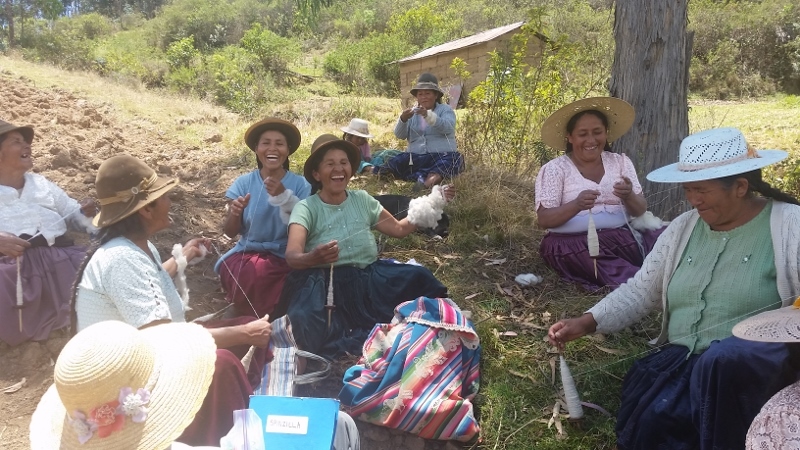 Hopefully pride in the ch´uspitas will encourage the CdA members to advance to the next step, which is learning to weave on the rustic loom and selling those weavings. 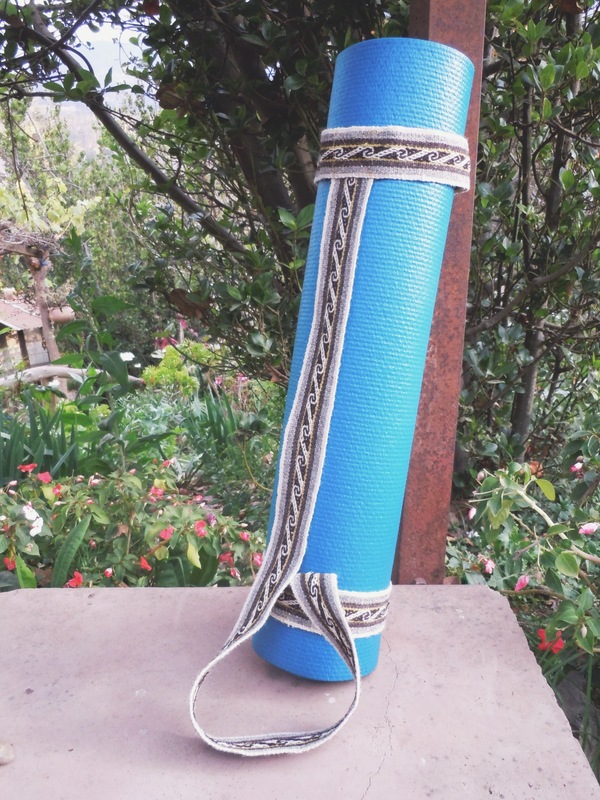 The yoga mat straps are the ideal weaving for beginners to weave and to be able to sell. The weavers learn a variety of figures which helps preserve the Andean weaving tradition that is not documented on paper since the master weavers are elderly and were born into a world where girls weren´t educated. The yoga mat straps are narrow, so advance quickly, and the pricing of $15.85 for the weaver is motivating. 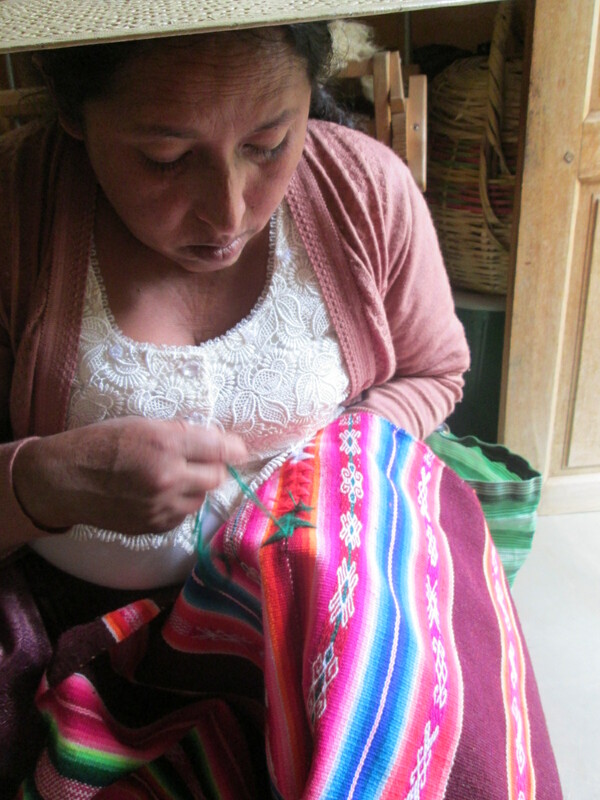 The assembly of the yoga mat straps provides a payment to Vilma, a CdA member who does the sewing. It seems like the ideal yoga mat strap for a socially conscious yoga practitioner, so why oh why can´t we get them into that niche market? The 2015 wholesale price is $20. 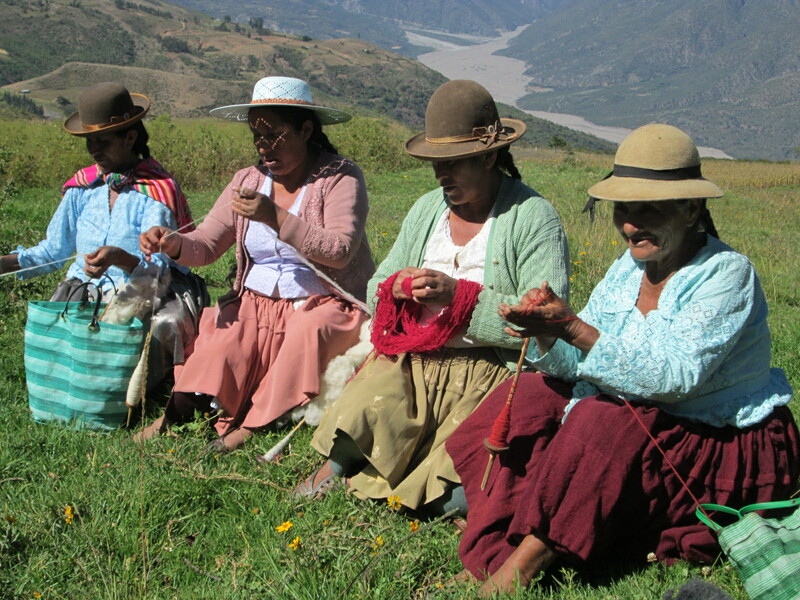 It is generating income that will motivate the younger generations to learn the Andean style of weaving. ¡Help! One Sunday morning Doña Máxima and her daughter Vilma sat on the stoop plying yarn while waiting to see if any Huancarani weavers would drop by the PAZA workshop/store. 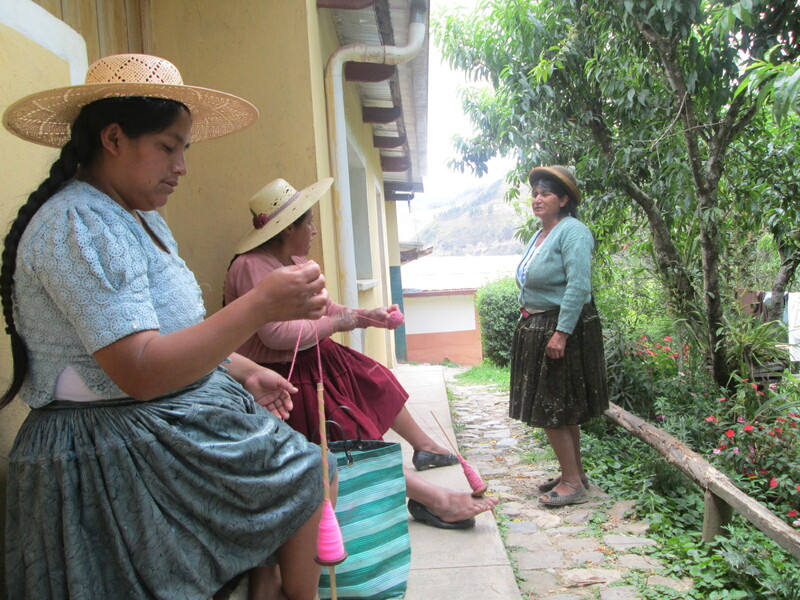 Doña Máxima was plying local wool she´d handspun during the Spinzilla spinning week and dyed with cochineal. It will be used on a PAZA weaving order. Vilma was plying neon pink synthetic yarn which will go into the aguayo she plans to weave for Carnaval so she can learn the embedded double weave technique. ← Spinzilla 2015 is Over, Now What?